Indoor air at schools is often polluted and much of this pollution originates from cleaning products. Certain ingredients in cleaning products can present hazard concerns to exposed populations. Young people, especially those with asthma, are at a high risk from polluted air and chemical exposures from conventional cleaning products; if children are sick, they cannot learn. 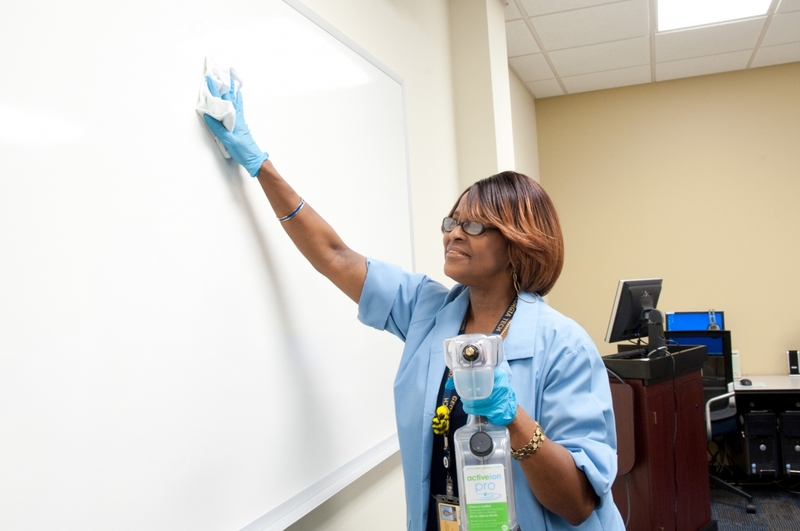 Our Georgia Tech Green Cleaning program reduces chemical exposures and supports positive outcomes. Protecting student’s and other building occupants’ health, thereby putting our students in a better position to learn. Protecting the health of custodial staff who work closely with the cleaning supplies. Protecting the environment by reducing potentially hazardous chemicals from being released. Georgia Tech Facilities is pleased to announce its commitment to purchase products made with Green, E-ceritfied renewable wind power from Community Energy. By committing to use products made with wind energy, Georgia Tech Facilities is making a difference by supporting cleaner air and lower greenhouse gas emissions. Wind power is utilized for paper towel production. Purchasing policies are regularly updated to support the procurement of green products and supplies. Custodial staff undergo continuous training on green cleaning methodology and benefits, as well as how to minimize impacts to “vulnerable population” occupants such as children. Backpack vacuums that have high-filtration, quiet operation and exceed HEPA requirements are employed throughout campus. What is Ionized Water and Why Does It Work? Ionization, a process also known as electrochemical activation, was discovered by British scientist Michael Faraday in the 1830's. The process utilizes an electrical charge to energize a mixture of tap water and natural minerals to create a powerful cleaner, degreaser and sanitizer. Powerful Sanitizer that is 80—200 times stronger than bleach, but without the harmful side effects. Thus it is safe for plants, animals and people. Used in Health Care to threat wounds and burns – thus non-toxic. Used to sanitize fruits, vegetables and other foods throughout the food industry. Kills 99.99 percent of harmful bacteria in less than 10 seconds. Bill Nye The Science Guy explains the ionized water process, and its relevance to green cleaning. Reduced number of cleaners used, simplifying the green cleaning program with a cost-effective option. Green cleaning equipment includes efficient scrubbers that employ foam cleaning, using 70% less water and 90% less chemical than traditional equipment. Georgia Tech operates its own in-house laundry to wash micro-fiber mobs and rags; replaced residential washing machines (28 gallons of water per load) with front-load washers (14 gallons of water per load). 56% reduction of chemical usage from 2008 through 2014. President Peterson and Cabinet listen to Green Cleaning demonstration by Tommy Little. 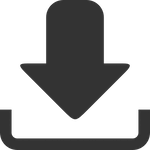 Download a PDF file of our Green Cleaning Manual.